Howlite is a borate mineral that is also known under the names of white howlite, white turquoise and white buffalo stone. It is almost always white or grey with darker stripes lining the stone. It was discovered in 1868 by Henry How (after whom it is named) when miners called him to a gypsum quarry in Nova Scotia, Canada where it was considered a nuisance. Howlite is best known for its ability to imitate other gemstones when dyed, and is often used a substitute for coral, lapis, some jaspers and most commonly, turquoise. The majority of turquoise on the market today is actually dyed howlite with the sellers often unaware of it. Howlite is a very soft and porous stone and has little industrial uses other than ornamental appearance. It is used primarily in the jewelry and carved into statues or figurines. Howlite is now mined mostly in California. Deposits have also been found in Turkey, Germany, Mexico and Russia. Rare transparent howlite crystals have only been found in Tick Canyon, California and Iona, Nova Scotia. Howlite is used mostly for its calming energies. It is very helpful if worn by people who struggle with anxiety and high levels of stress or pressure. Its calms the nerves while soothing the soul inspiring one to think clearly and be less emotional in negative ways. Howlite is a great help for reliving critisism of self and reprograming old outdated thought patters. Because of howlite's calming properties it is also useful in helping sleep patterns, relaxation and used in massage therapy and healing. 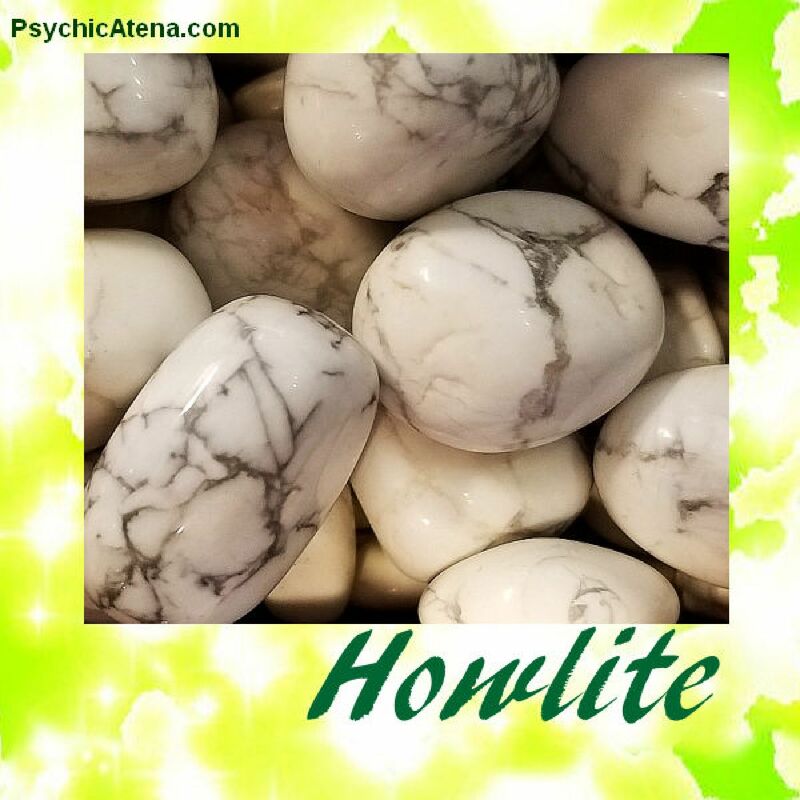 Howlite is also helpful for people with very active minds who find it hard to meditate or be still, it can soften the process of abrupt change and is very helpful if worn when moving. Howlite inspires patience, absorbs anger, helps critical selfish behavior, relieves insomnia.